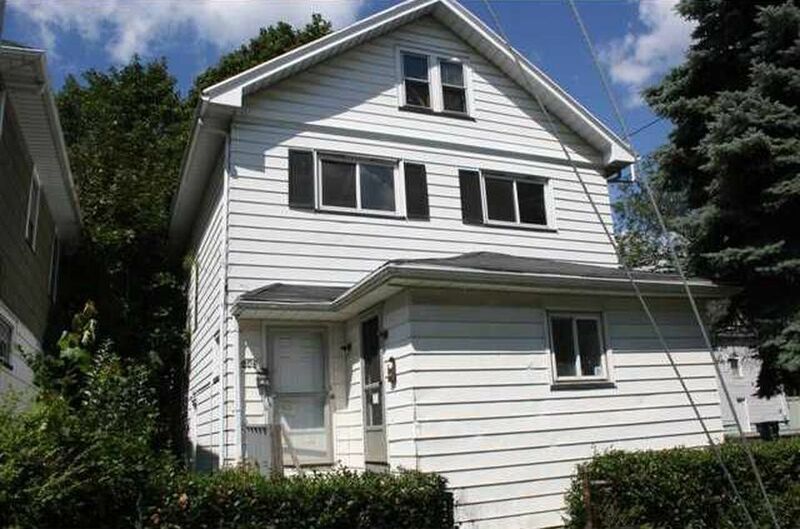 RENTAL PROPERTY w/HIGH CASH FLOW & SELLER FINANCE! The seller has owned this property for 7 yrs . He's now looking to sell because he has some additional opportunities on the west coast where he lives. The property is occupied by 1 tenant in the upper and 1 in the lower. The upper tenant has been there for 3.5 yrs the lower tenant has been there nearly 1 yr. but with the owner at another property for over 2 yrs prior to moving here. The apartments are $550 up and $595 down. Tenants pay their own utilities. Upper tenant is moving. He's lost his income and can't afford the place anymore. We have a waiting list of new tenant prospects. There is current management in place who handle tenant relations, showings, application screening, maintenance and maintenance coordination. They would be glad to take over and manage for the next owner and seller will pay the first 3 months of management fee of 10% and the cost to acquire new tenant to replace upper tenant. Total purchase price is $55k which includes Updated title and completion of pvt mtg and/or land contract plus filing of deed if applicable. Down payment required will be $10k-$15k and Seller can close in 14 days!